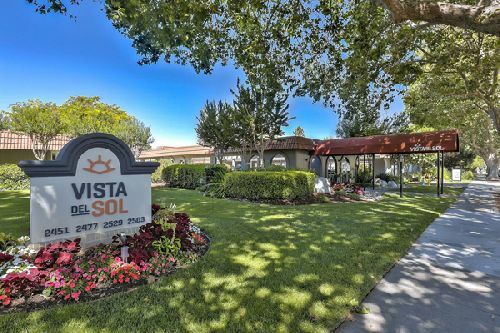 Vista Del Sol, a 73-unit multifamily asset in downtown Pleasanton, was acquired by a local, private investor for $24.25 mil, or $332k/unit. The property sits on 3.37 acres at 2451-2529 Santa Rita Rd. The community is located in close proximity to I-580 and I-560, two BART stations, as well as a commuter train and regional bus service, providing direct access to the Silicon Valley, San Francisco, and the Central Valley. It is also near to shopping, dining, and outdoor activities. Community amenities include a pool and spa, outdoor cabana and sundeck, and lush, landscaped greenbelts. Vista Del Sol recently underwent a $1.44 mil capital improvement campaign consisting of extensive exterior and interior upgrades. During its ownership, the seller, a private LLC, remodeled the clubhouse, updated the gym and outdoor pool/barbeque area, and added new signage. Inside, 50 of the 73 units were completely remodeled with designer finished, updated kitchens, and large walk-in closets. Adam Levin and Robert Johnston with Levin Johnston represented both parties in the transaction. “This is a prime rental location for commuters, which contributes to the strength of this asset as an investment,” says Johnston, who notes that the asset is located just one mile from Hacienda Business Park, which is home to many major employers including Kaiser Permanente, Boeing, Caltrans, and MetLife, among others, as well as a new six-story corporate HQ development that is currently under construction.